I just endured the longest weekend in my life. And yet, it was also the most satisfying. 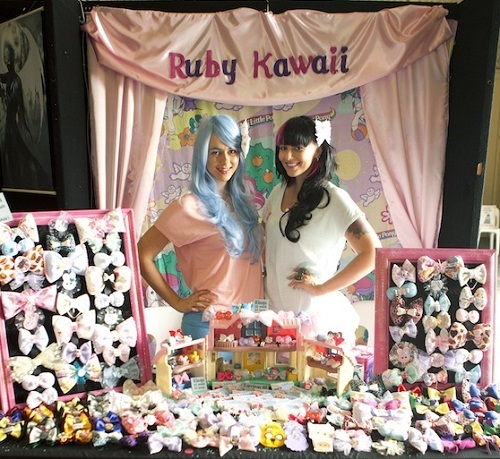 It was the “debut” of Ruby Kawaii at the 2012 Brisbane Supanova, and we did amazingly. In fact, we did better than I could have possibly expected! 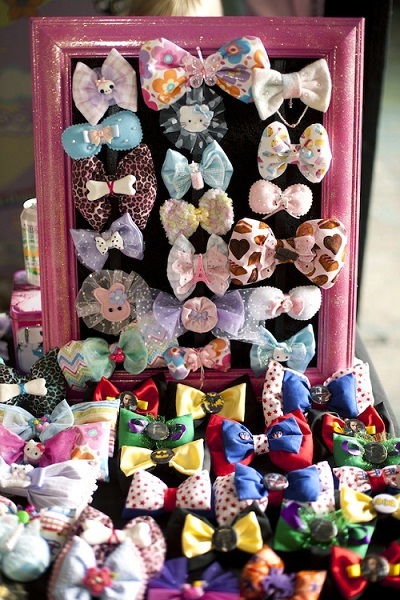 We had a certain amount of trepidation about whether or not people would get or care about kawaii hair bows and accessories, and this was going to be our big test as to how people were going to receive us. As it turns out, we had nothing to worry about as we were received brilliantly. 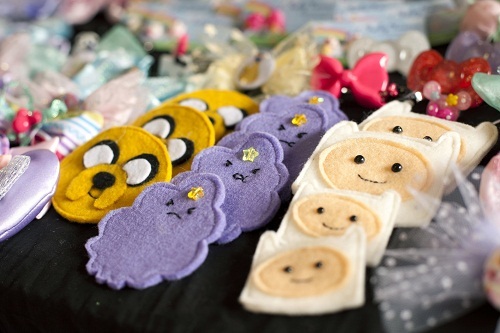 We spent the last three or four weekends as well as any time we could afford after work every night, madly creating new fandom-related bows (such as Harry Potter, Adventure Time, the Avengers, Star Trek etc) and they were so popular. We even had to make some more on Saturday night to keep up with the demand on Sunday! The real surprise was how much people loved our non-fandom, just-plain-cute bows. And the rings, we sold so many of them too! I was just so pleased to know we’re catering to a very responsive demographic, one which I wasn’t sure existed in Brisbane until we saw the evidence at Supanova. Naturally, all of our fandom bows were what drew most people in, and were the first to sell out, but a huge amount of the people who came to look at our stuff were absolutely delighted by all of our regular, kawaii bows too. My mum pointed out at one stage how most people walked away from our stall with a huge smile on their face. Exactly the effect we were after! I also took note of what fandoms are really in and have lots of great new ideas for future conventions! Mini Doctor Who fez, anyone? I would like to give credit to Nerd Burger Jewelry for the ideas for how we displayed our bows. The pink picture frames and the little doll house were perfect ways to show off the merch and we got lots of compliments on the presentation! 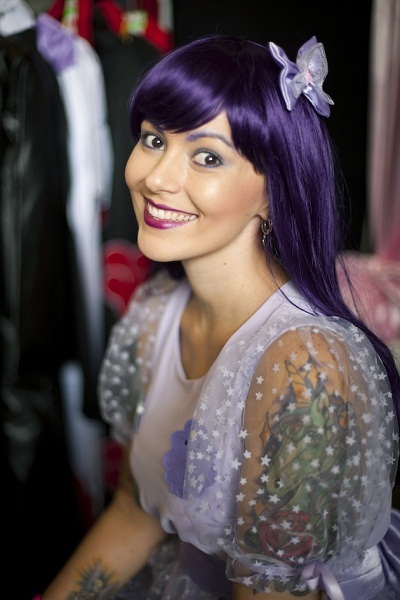 Plus Caz has been so supportive in the lead up to our debut at Supanova so thank you SO much for everything. Go check out her store! I had such a fun weekend, I even managed to sneak off for a couple of hours on here and there for a seminar and a few photos with some of the stars. I won’t go into it here, but instead will write up a separate entry for all of my non-Ruby kawaii adventures on the weekend! Yay! I’m SO glad it went well for you, and YES to doctor who stuff! !